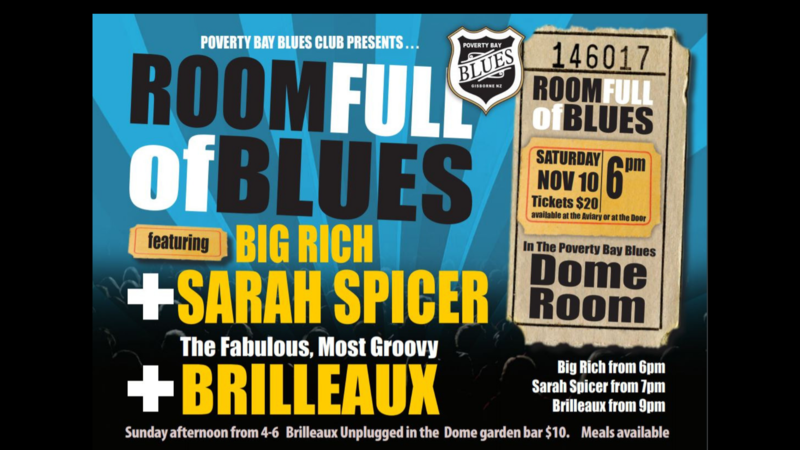 Poverty Bay Blues Club is an incorporated club formed to promote, perform and educate people about Blues music in the Gisborne region. 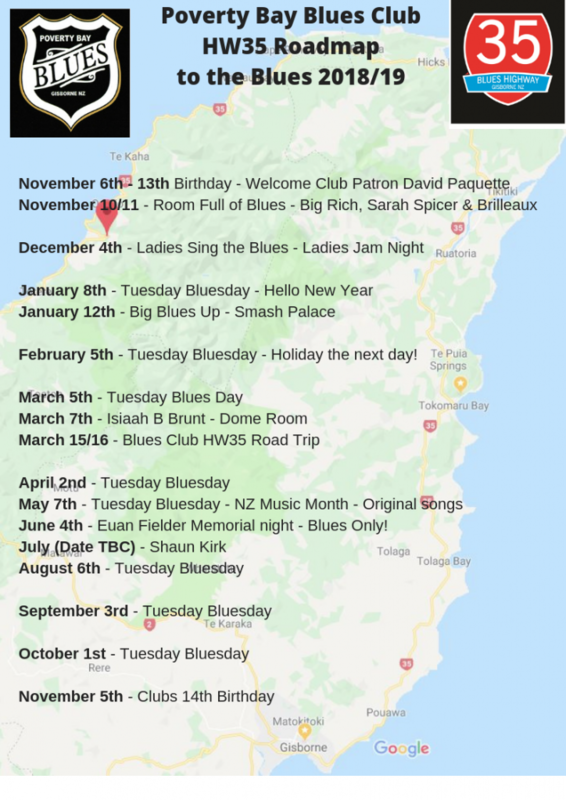 Come join us on the first Tuesday of each new month at 8pm, at the Poverty Bay Club, corner of Customhouse Street and Childers Road, Gisborne. Entry is only $5 or free to members or it’s only $30 to join for the year or $40 for two people at the same address. Free to musos perfoming that evening. The lovely Mahalia from Decembers Jam night – had the crowd Spellbound…..